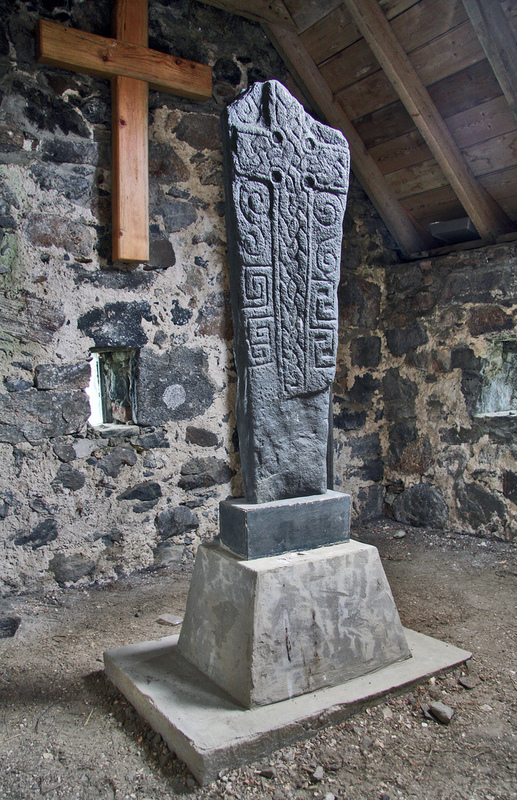 This is a Viking gravestone on Cille Bharra, otherwise known as Scotland’s Isle of Barra. My birth mother’s ancestors (and thus mine as well) were of the MacNeil clan from the Isle of Barra in Scotland. As noted in an article I posted a link to recently, the MacNeils always claimed descendancy from Niall Noígíallach, otherwise known as Niall of the Nine Hostages, a prominent high king of Ireland. However, after an ancestral DNA project was conducted on clan members from the Isle of Barra, it was discovered there was no trace of DNA to link the clan to Niall of the Nine Hostages. Instead, much to most everyone’s surprise, there turned out to be Viking DNA (Norwegain/Scandinavian) in the MacNeil clan’s background. This made sense to me, because the vast majority of my DNA is from Northern Europe, with strands of DNA from Norway/Scandinavia represented in there. For a person like me who was adopted, piecing together one’s heritage is exciting after starting out not knowing *anything* about one’s ancestry. I located my birth mother (and two birth brothers) back in 1999. From there, I began gathering information and even corresponded with the family genealogist/historian, Norma. 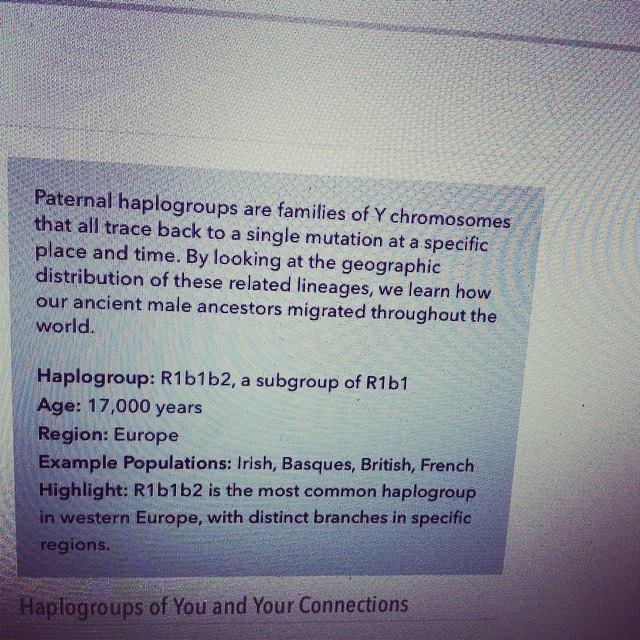 As I’ve said before, having my ancestral DNA done through 23andme.com was one of the best decisions I’ve ever made. I am now connected to over 900 of my DNA relatives through their database, including 1 first cousin I’ve never met and 17 second and third cousins, plus more ancestral connections beyond that. I post about this stuff a lot, but it’s one of the most important discoveries of my entire life. I want my children to know their history and ancestry from my side and their father’s side. You quickly learn we are all connected some how, some way. If you ever get the chance, you should spend $99 to find out about your ancestral DNA, whether it’s from 23andme, Ancestry.com, or another reputable company. Even if you think you know a lot about your family and ancestors, I’ll bet you’ll find out things you never imagined — with a few “Wow!” surprises in there for good measure!